Although the economy and gas prices remain unstable going into the holiday season, many families will undoubtedly be in the market for a new or used vehicle. 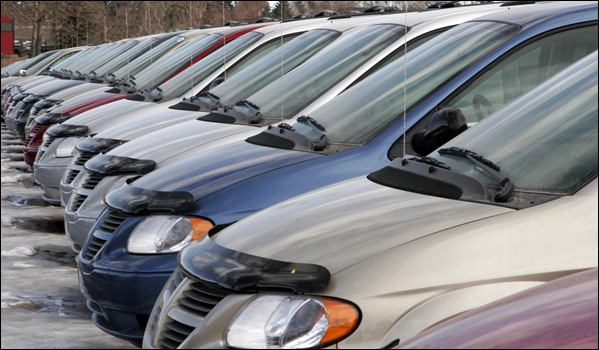 The latest Automobile.com commissioned survey compared the cost to insure popular sports utility vehicles (SUVs) and minivans to determine if there any notable disparities. For the purpose of the study, Automobile.com compared the Ford Escape, Honda CR-V and Chevrolet Equinox SUVs to the Chrysler Town & Country, Honda Odyssey and Dodge Caravan minivans. On average the SUVs were slightly cheaper to insure at an annual cost of $825.25 compared to $842.53 for the minivan models. The Honda CR-V was the cheapest SUV to insure annually at an average of $797.66, followed by the Chevrolet Equinox at $835.63 and Ford Escape at $851.55. Comparatively, the Chrysler Town & Country was the cheapest minivan to insure at an annual average of $778.91. The Dodge Caravan followed closely at $832.53 and the Honda Odyssey rounded out the group at an average cost of $940.63 each year. The gender gap was noticeably different as males favored SUVs over minivans. 41% of SUV drivers were male compared to 36.4% of minivan drivers. The average age of drivers was strikingly similar across both vehicle types. Respondents who drove SUVs were 52 years old on average while minivan drivers were 54 years old on average. Finally, the SUV group included in the survey was associated with an 11% higher fuel cost than the minivan group. While SUVs surged in popularity over the last two decades, minivans have enjoyed a sales growth of 10.6% during the first several months of 2012 (although general car sales rose 10.3% as well), according to a Huffington Post Business report. Automobile.com recommends drivers looking to save money on car insurance should compare the specifications of SUVs and minivans and compromise over performance characteristics. Choosing a less powerful engine while opting for upgraded safety features can help bring down the cost to insure. Additionally, using an unbiased insurance cost comparison tool will allow consumers to compare policy rates side-by-side before purchasing coverage.